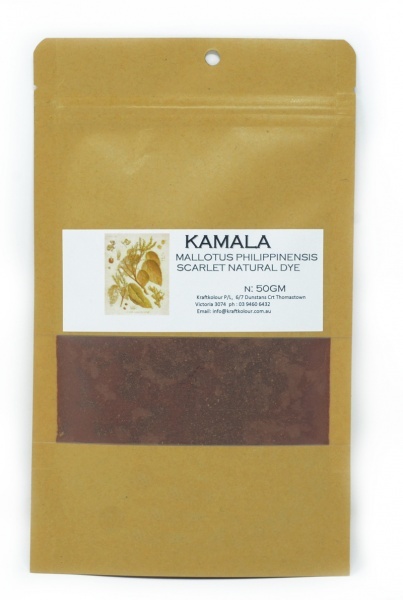 Mallotus Phillipinses - Kamala Kamala - gives beautiful Oranges & Gold on Wool and silk. Mallotus is a genus of the spurge family Euphorbiaceae. The dye is taken from the hairs of the seed capsule of the fruit of a plant which is an evergreen tree growing up to 25mtrs high. Use alum mordant at 15% WOF for protein fibres. Mordant with tannin at 8% WOF and then alum at 15% for cellulose fibres.